Maya Tiwari was born in Guyana, the daughter of Brahmin priest Pandit Bhagawan Ramprasad Tiwari, whose family originated from Lucknow, India. Thereafter, she became a fashion designer in New York City at the age of 18. Her fashion and "Maya" boutique was a prominent store at 773 Madison Avenue, where she served clientele such as Jackie Onassis, Princess Diana, Nureyev, and Patti La Belle among other celebrities. Her designs were featured in stores such as Bergdorf Goodman, Henri Bendel's, and Saks Fifth Avenue to Harrods in the UK. Diagnosed with ovarian cancer at twenty-three, Bri. Maya was given only two months to live. Her doctors' advice: die painlessly with heavy dosages of morphine. Instead, in the middle of winter, she left her New York City career as a popular fashion designer, and began several months of intensive meditation and holistic nutrition alone in a remote Vermont cabin. By spring, her health and vitality had been restored. Inspired by her dramatic visions and dreams of her family and ancestors, Bri. Maya became a devoted student of one of India's few living masters of the traditional Vedas. 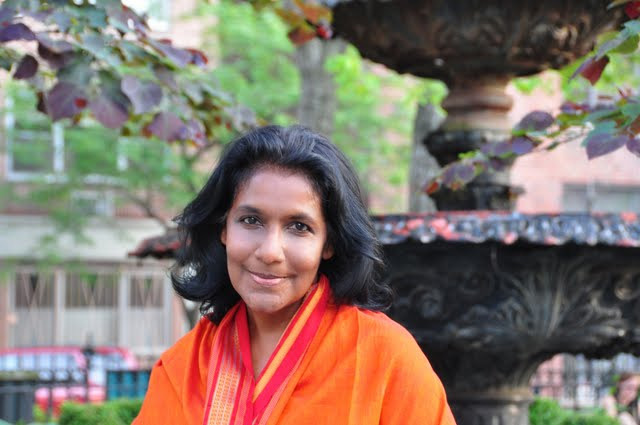 Today, healthy in body and spirit, she devotes herself to teaching the wisdom practices of the Vedas to help others heal emotional and spiritual discomfort, dis-ease, and physical illness. Below you will find our selection of products by Bri Maya Tiwari. Enjoy our low prices and FREE US Shipping.